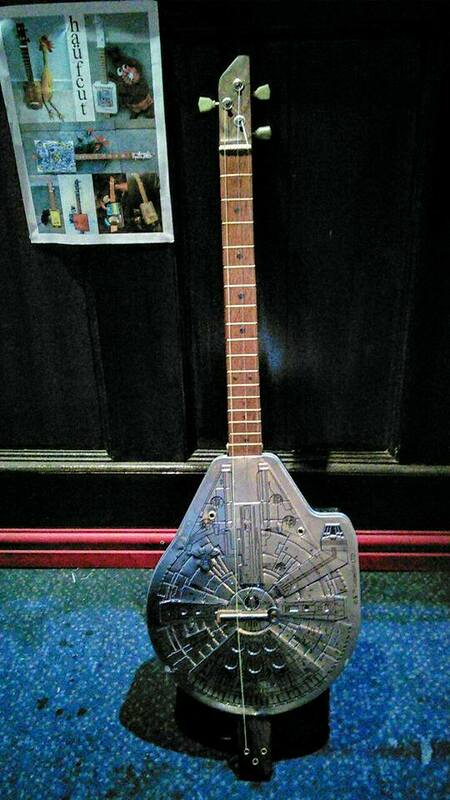 Beautiful Millennium Falcon tin, transformed in to an electro-acoustic, 3 string canjo. The dulcimer is made from walnut and spruce. It has 5 strings, tuned DD AA dd. 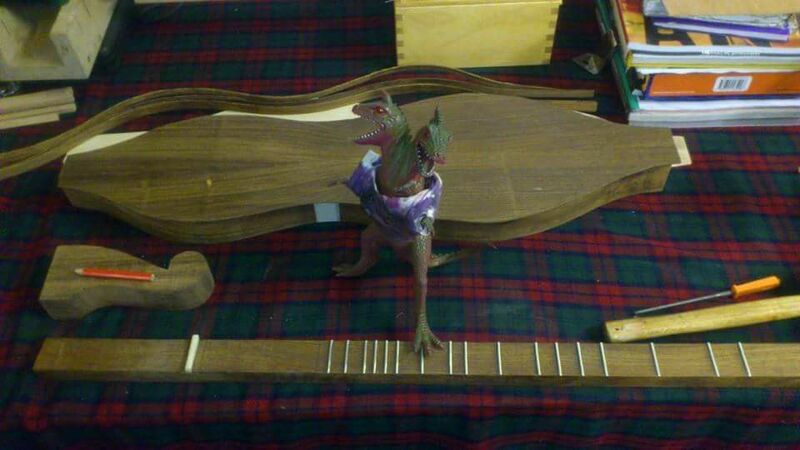 The Best Ever Advert For Haufcut Instruments. Huge thanks to Stacey for making this video! 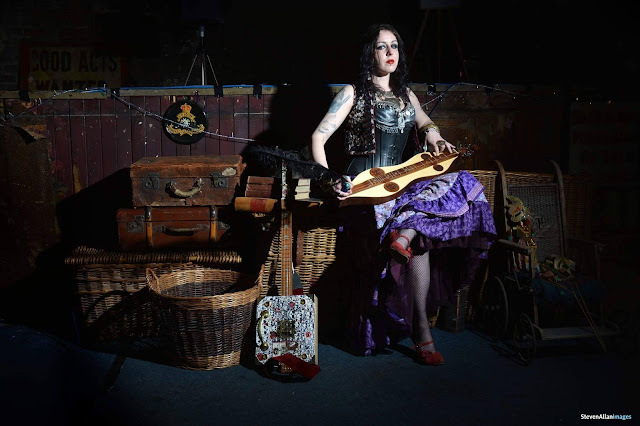 I am delighted to be working in the magnificent space that is The Britannia Panopticon Music Hall, Trongate, Glasgow. (The oldest surviving Music Hall in the world}, and the place where the young Stan Laurel made his debut as a performer. 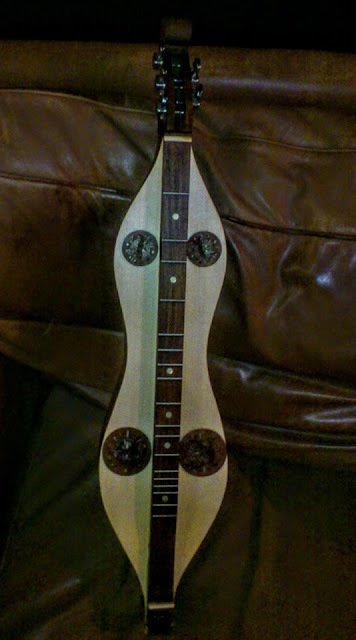 - I am just settling in, and have, in production, an Appalacian Dulcimer, an Electric Washboard, and several Cigar Box Guitars. - Huge thanks to Judith, Stacy and all at 'The Pots' for giving me the chance to work in a studio space again. I Love It !